Jean Ross, co-president of National Nurses United, discusses the institutional context behind the recent overnight price hike of Daraprim. JARED BALL, PRODUCER, TRNN: Welcome back, everyone, to the Real News Network. I’m Jared Ball here in Baltimore. Another national firestorm over healthcare-related issues has been spurred this week by the revelation that Martin Shkreli and Turing Pharmaceuticals have increased the cost of a drug they acquired from $13.50 per pill to $750 per pill, more than a 5,000 percent overnight increase. Here is Shkreli defending his decision. MARTIN SHKRELI: $13.50, and you only need less than 100 pills. So you know, at the end of the day, the price per course of treatment to save your life was only $1,000. And we know these days modern pharmaceuticals, cancer drugs can cost $100,000 or more. Rare disease drugs can cost half a million dollars. Daraprim is still underpriced relative to its peers. If there’s a company that was selling an Aston Martin at the price of a bicycle, and we buy that company and we ask to charge Toyota prices, I don’t think that should be a crime. We’re simply charging the right price that the markets missed, prior owners have missed, and we’re doing something very good with those profits, we’re putting them right back in the patients’ hands. BALL: To discuss this and its context is Jean Ross, co-President of National Nurses United. Jean, welcome to the Real News. JEAN ROSS: I’m glad to be here. BALL: So isn’t the real problem here not what Shkreli has done, but that he could do it at all? As he said–as he’s also said, this is what others do and have done all the time, and that his price increase of the drug Daraprim doesn’t even in any way make it the most expensive drug on the market, and that for him to stay profitable, such an increase was absolutely necessary. What do you think about his argument and this context that he’s now drawing from to defend himself? ROSS: Well, it’s ludicrous. He knows it, and most Americans recognize that now, too. What they’re doing is putting the cost of all kinds of other things in an effort to bring their profit up to–and the profit is never enough. It’s the sky’s the limit. So it’s another example of a system that has failed us. We see it every day in our patients. They’re the ones that suffer. The system has failed us. It’s rigged. And when people say, you know, why would somebody do what this company did, I always answer the same: because they can. There’s nothing to stop them. BALL: I mean, and that’s sort of my point. I mean, here’s a guy who comes out of the hedge fund world, someone who’s looking to make a profit and take advantage of the so-called or nominally free market environment in which all this is taking place. Isn’t that–so my question really is, isn’t that the real problem here? That this guy is, as easy it may be for people to see what he’s done and to not like him or this individual act, he is drawing as I said initially on the context that this is legal, this is acceptable, this is the environment in which our pharmaceutical and healthcare industries operate, and this is something that I’m assuming you and your union are concerned about and in some small way, if not a large way, trying to respond to or address. ROSS: Exactly. It’s, you know, you said from time immemorial, you know, healthcare is a human right. You shouldn’t be allowed to profit on someone’s not-wellbeing. You shouldn’t be allowed to profit on someone’s suffering. And so the whole system needs to be overhauled. That is why we are so solidly in support of a single-payer system, as is Bernie Sanders. Big reason why we support him. And the reasons that the drug companies give us for charging what they do, it’s fine to say over and over as so many, for example, banksters have done recently, but it was legal. Nobody cares anymore. The system is bad. That it was legal doesn’t matter. The point is it’s wrong. We all know it’s wrong. And people are suffering because of it. Bernie Sanders has a very comprehensive plan that talks about decoupling the research funding, the profits that you get from that, and also his single-payer plan and then doing what we should have done before we outlawed being able to bargain over prices like the VA system [has] been allowed to do for years. BALL: So we know that you’ve come out early in support of Bernie Sanders, as you mentioned, and his defense of single-payer. One, are you all hopeful that he and his Democratic party can actually bring about a single-payer plan, even were he elected? We know that Barack Obama at one point supported single-payer as an idea, then got elected and that went away. So I’m wondering if you all have a particular relationship with Bernie or a plan in place, should he actually ascend to the presidency, to be able to actually push him to do this. And then if you also would just take a quick moment to explain for anybody who might not understand why a single-payer healthcare system would take care of this and many other issues as a problem. ROSS: Bernie Sanders, of course, is our candidate because he believes in movement politics. You will hear him say this isn’t about Bernie Sanders, this is about all of us. And he’s correct. The only thing that has changed things for the better in this country is some sort of a people’s movement. And yes, I do believe we can achieve that. This is the beginning of it. People, I think, are fed up enough. Bernie’s ideas are clearly in alignment with ours. Healthcare is a basic human right. There’s no reason on earth for people to continue to suffer. And if we all get on board and get up and do something, that includes electing Bernie, it includes electing people who actually will get the job done, even if they’re outsiders, getting them into office. And then once they are in office, holding them to their promises. I don’t believe we even did that with Obama. As excited as people were to support him, and I went out and stumped for him, I don’t think we have learned yet to do what we learned decades ago, which is to hold people’s feet to the fire once they’re in office. BALL: We also know that today, Tuesday night, Hillary Clinton will announce her plan to address this concern, and apparently her healthcare proposal. But Jean Ross, just very quickly–we only have a short moment here. Could you just quickly explain why a single-payer healthcare system would solve this as a crisis? 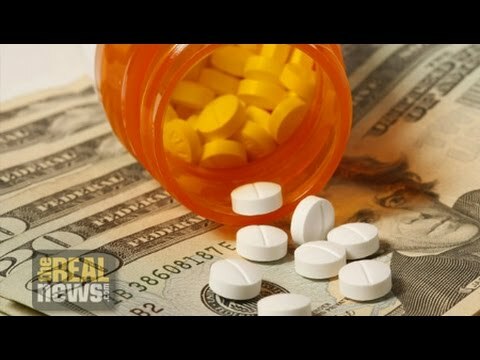 This cost of drug, of pharmaceuticals and other issues related to healthcare? Why would single-payer be successful in addressing this as a concern? ROSS: You start with a basic premise. Your premise is that healthcare is a basic human right, and everybody should have it. That’s where the ACA has failed. We set about to make sure that people could get insurance coverage. That isn’t what nurses want, that isn’t what people need. It’s healthcare for all, and I do mean for everybody. If you look at other countries and how they are able to keep their healthcare costs down, I think probably the lion’s share of that is administrative cost. You can take something simple in our country, like the VA system, and although it’s been under attack I will tell you that it’s been very successful. And one of the reasons why is if you tell me that in other countries they may spend ten cents on the dollar in administration, we would spend, and these are just figures that I’m saying for argument’s sake, 50 cents on the dollar. Because you have all these different insurance companies who all do things their own way, who all hire people to shuffle papers, who all have people denying healthcare coverage so you have to keep reapplying and reapplying. Those things eat up costs. And we are not healthier for it. So single-payer isn’t just a way in which to curb our costs. Single-payer is a belief that all people deserve healthcare in this country and are entitled to it, and once you make that decision you fund it, just like you do public education. BALL: Jean Ross, thanks again for joining us here at the Real News. BALL: And thanks again to all of you for joining us here at the Real News Network. And as always, I’m Jared Ball here in Baltimore. And for everyone here involved, as always we say, as Fred Hampton used to say, to you peace if you’re willing to fight for it. Peace, everybody. Catch you in the whirlwind.